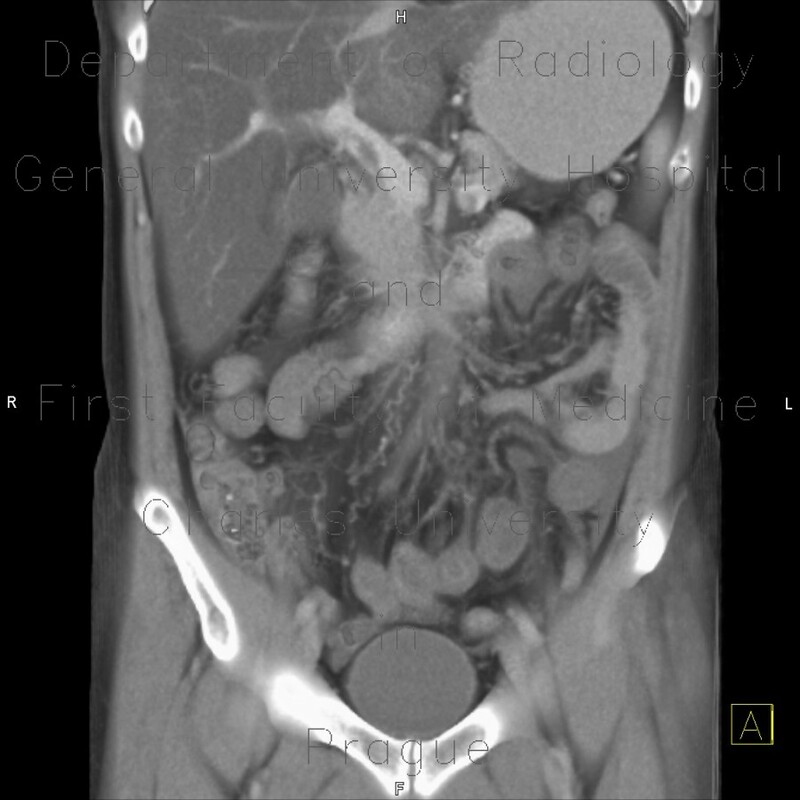 CT shows that the superior mesenteric vein does not opacify in portal phase, because it is thrombosed, while the splenic and portal vein have overall good contrast filling with a snake-like hypodensity that represents a thrombus. Some small bowel loops have edematous wall with a target sign - contrast enhanced mucosa and subserosa. Note also stranding of the mesentery, engorgement of peripheral venous branches and presence of gas in bowel wall in the right lower quadrant.